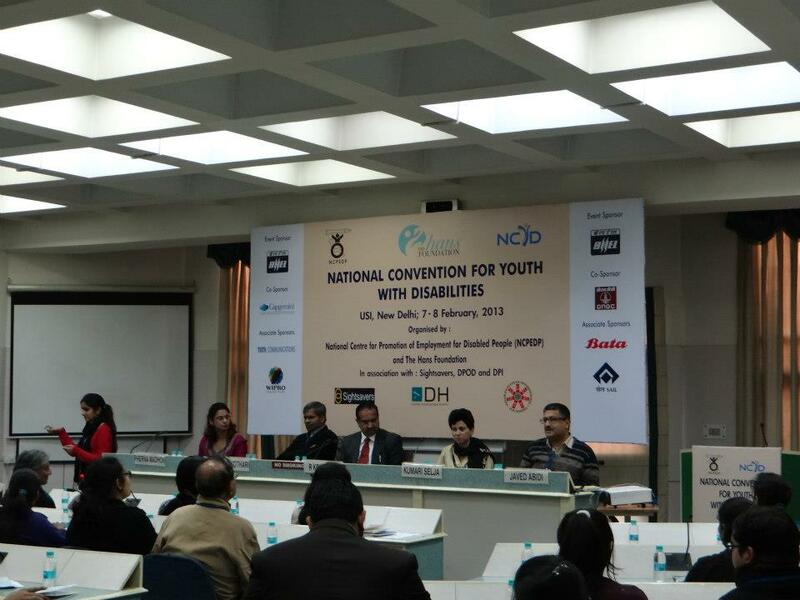 Inaugural Session: Chief Guest, Minister for Social Justice and Empowerment, Kumari Selja and Guest of Honour, R. Krishnan, Executive Director, BHEL, along with other dignitaries. 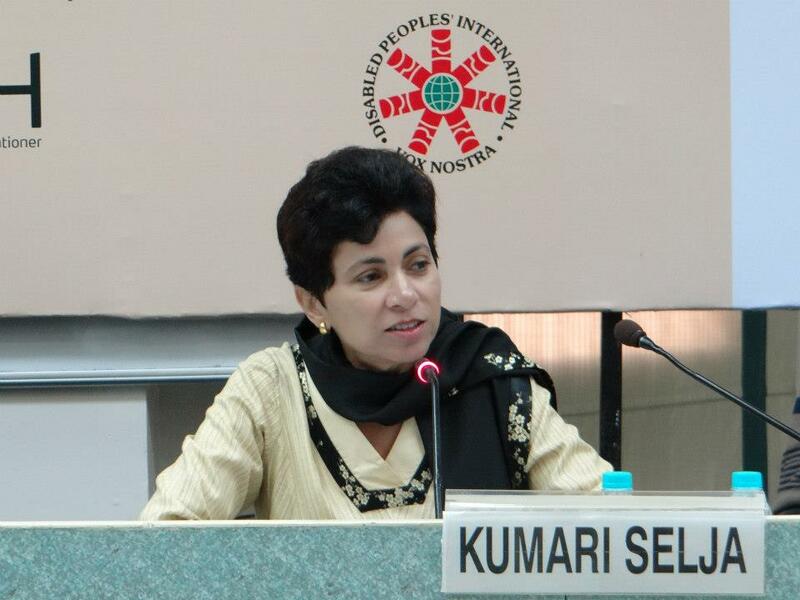 Minister for Social Justice and Empowerment, Kumari Selja addressing the gathering. 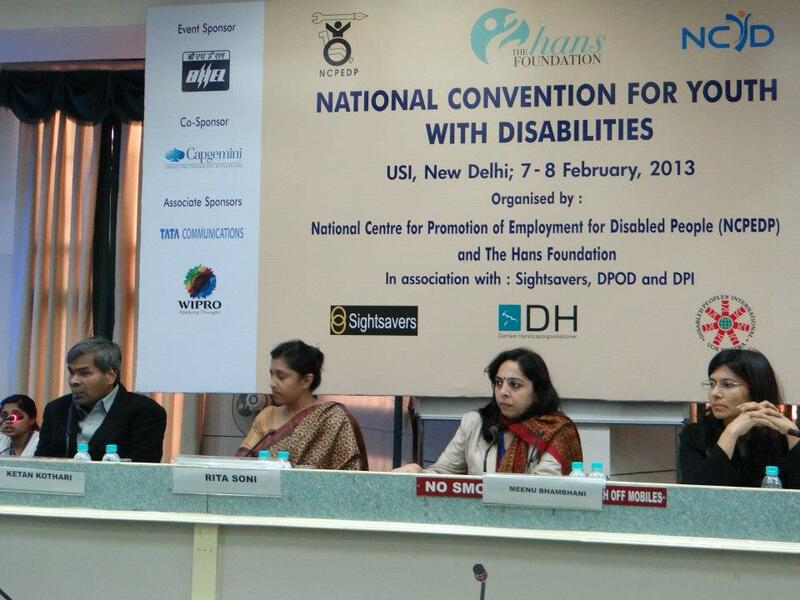 Session on Disability Movement in India: From Left to Right: Zorin Singha, President, National Association of the Deaf (NAD); Ketan Kothari, Regional Development Advisor (Social Inclusion), Sightsavers; Dr. Shanti Auluck, parent and founder, Muskaan; Reshma V., National Alliance for Access to Justice for People Living with Mental Illness (NAAJMI); and Javed Abidi, Honorary Director, NCPEDP. 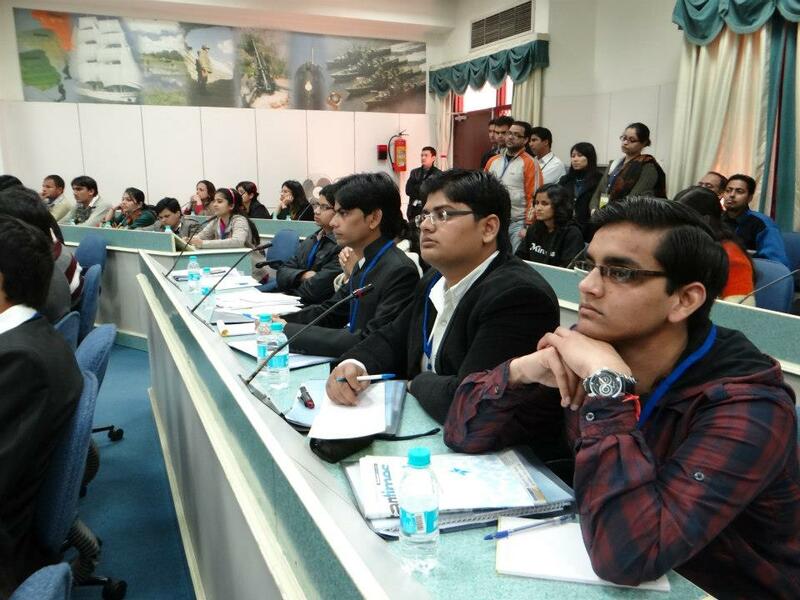 Participants listening to the speakers during the Sessions. M.A. 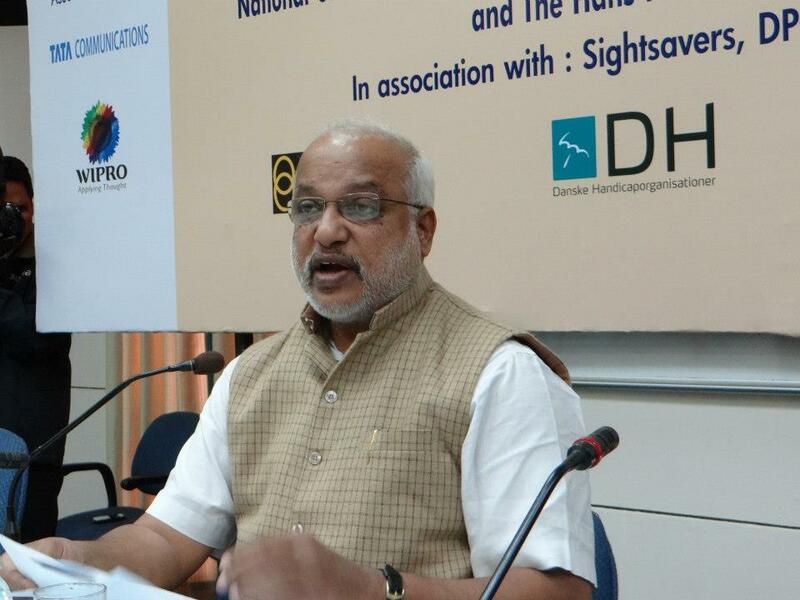 Baby, senior leader of CPI (M) addressing the participants on 'Politics, Leadership and Disability'. 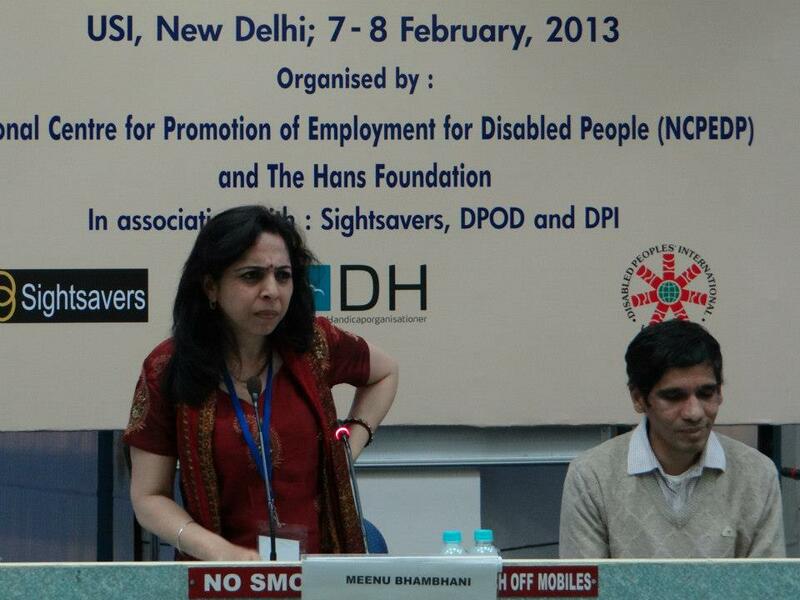 Meenakshi Lekhi of BJP speaking on 'Politics, Leadership and Disability'. 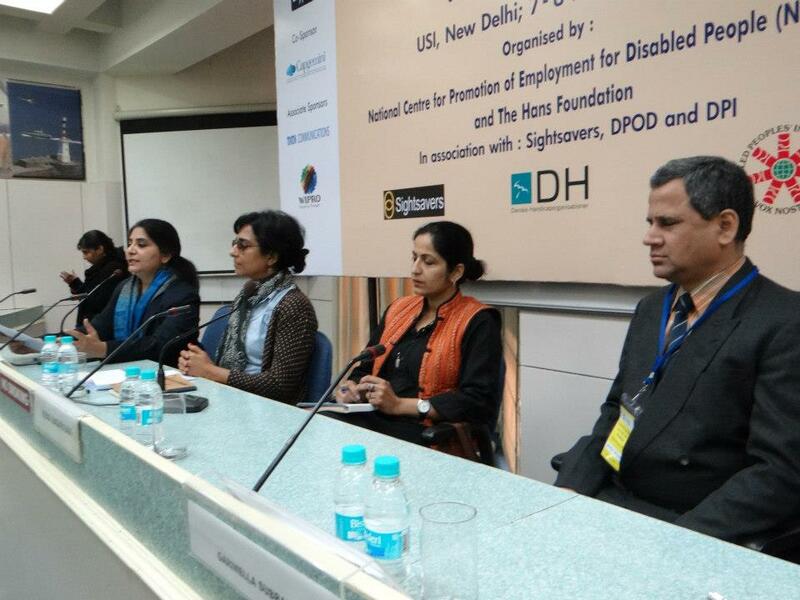 Session on Employment & Disability: From Left to Right: Ketan Kothari, Regional Development Advisor (Social Inclusion), Sightsavers; Rita Soni, CEO, NASSCOM Foundation; Dr. Meenu Bhambhani, Global Head-CSR, Mphasis; and Gayathri Ramamurthy, Lead - D&I, Capgemini. 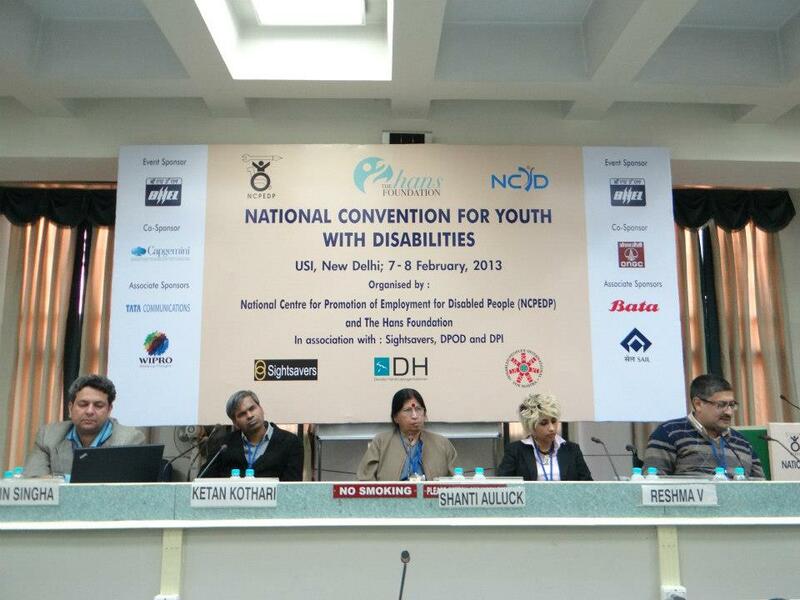 Session on Disability Identity: Dr. Meenu Bhambhani and Hemachandran Karah speaking on 'Disability Identity', & 'Disability Culture'. 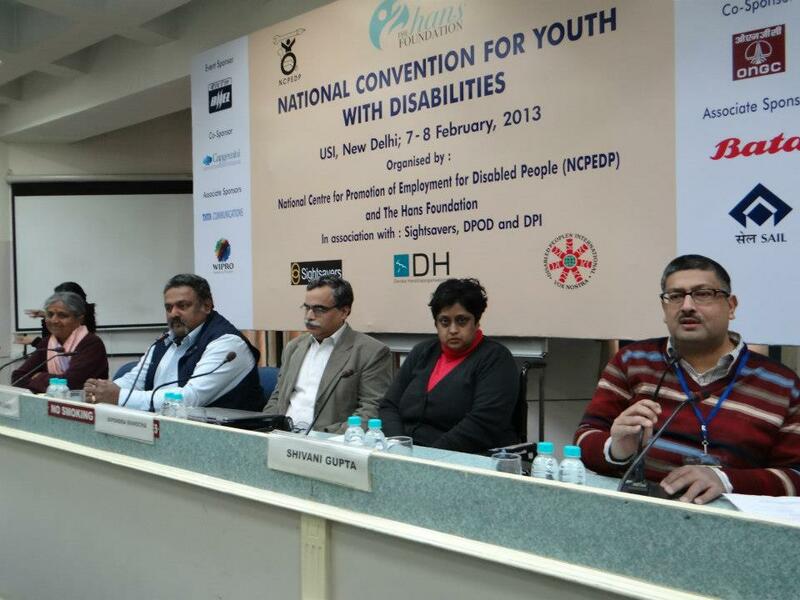 Day 2: Session on Barriers to Inclusion: From Left to Right: G. Syamala, Executive Director, AADI; Arun Rao, The Deafway Foundation; Dipendra Manocha, Saksham Trust and DAISY Consortium; Shivani Gupta, Founder, AccessAbility; and Javed Abidi, Honorary Director, NCPEDP. 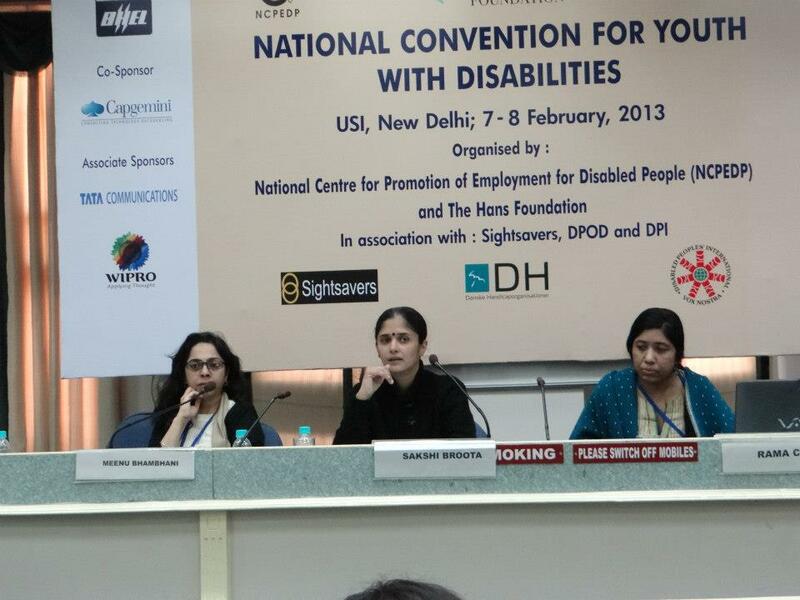 Session 2 on Day 2: Session on Media & Disability: From Left to Right: Radhika Alkazi, Aarth Astha; Sangeeta Gala, Independent Filmmaker; Rema Nagarajan, The Times of India; and Dr. Garimella Subramaniam, The Hindu. 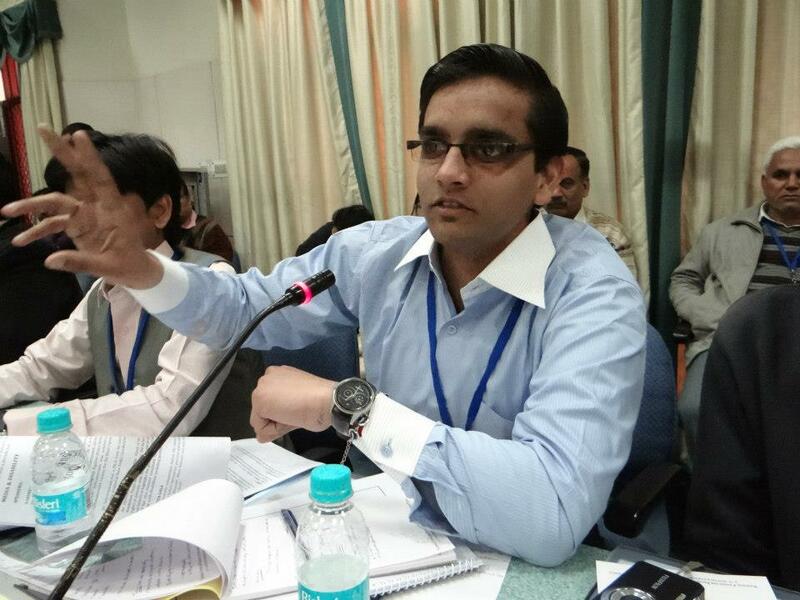 Student posing question to the panelists. 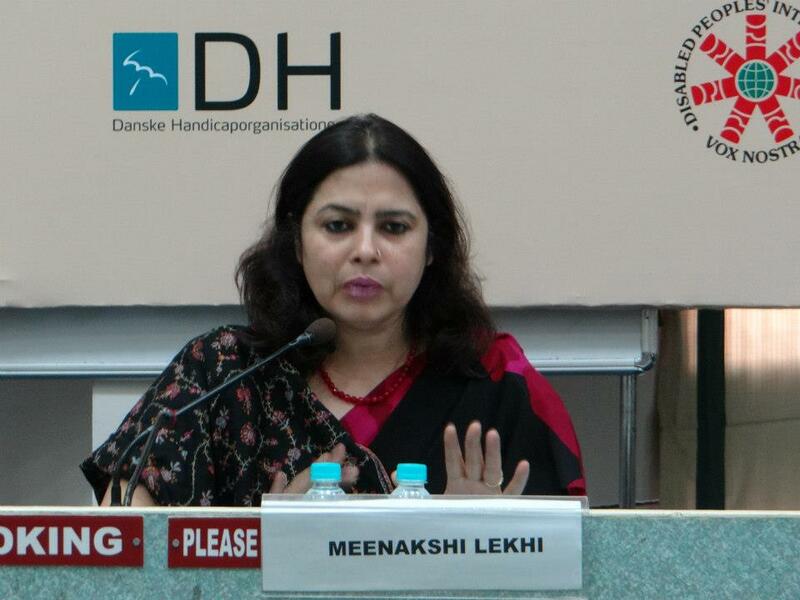 Session on 'Into the Future': Moderated by Rama Chari and Sakshi Broota of DEOC and Dr. Meenu Bhambhani, Global Head-CSR, Mphasis. 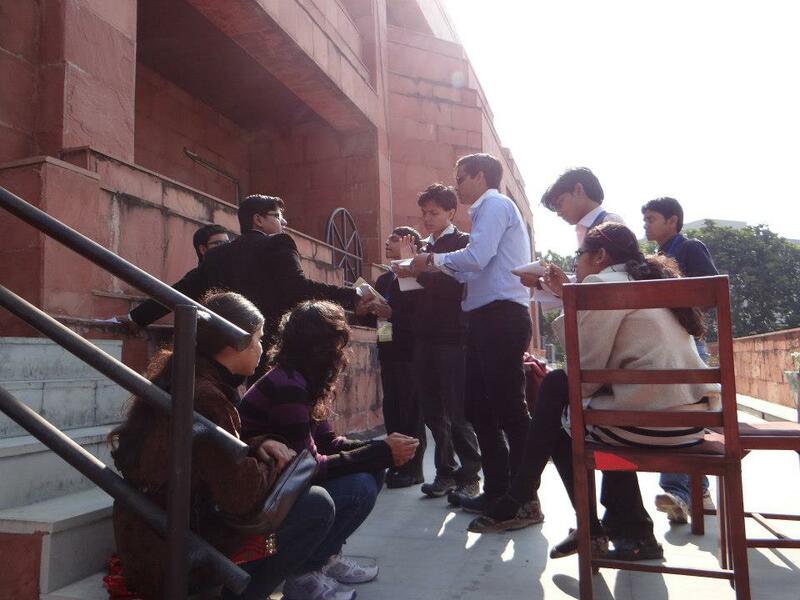 Students participating in a Group Activity. 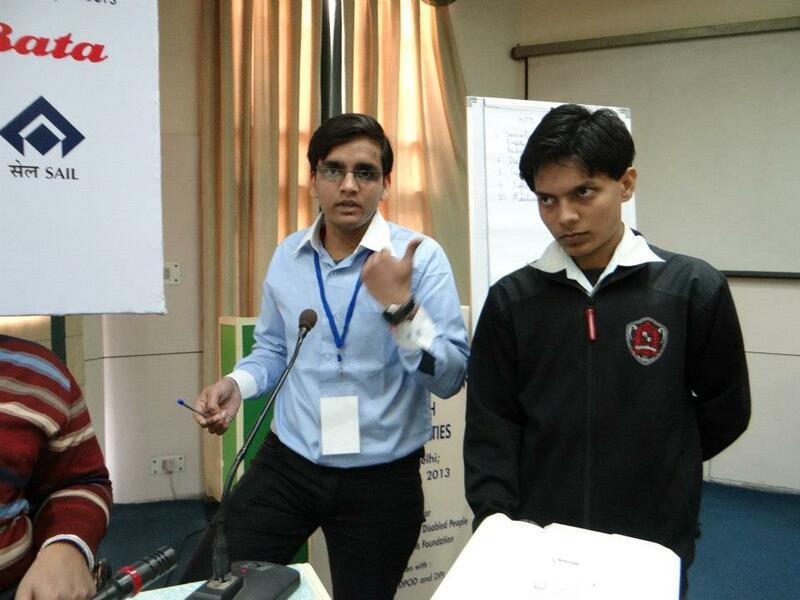 One of the Groups presenting the outcomes of their discussions. 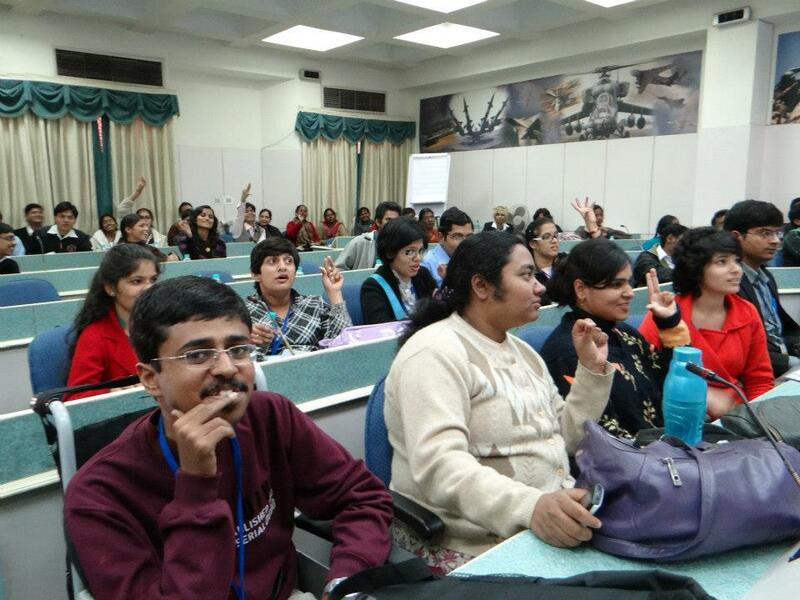 Students learning the Indian Sign Language: Here they can be seen using the sign for 'No'. 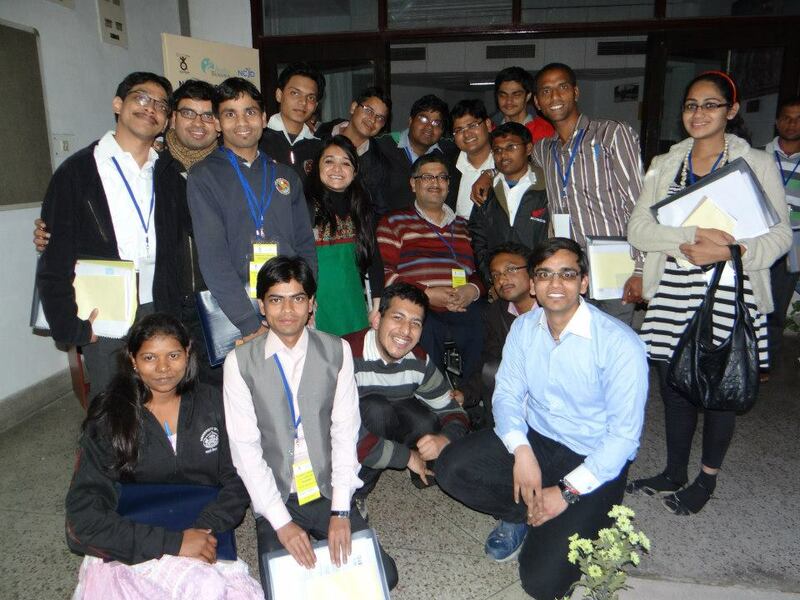 A few students pose with Javed Abidi, Honorary Director, NCPEDP at the end of the Convention.